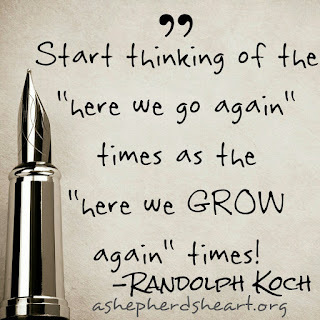 A Shepherd's Heart: It's The Here We GROW Again Times! Life as we know it comes with no shortage of trials, tests and hard times doesn't it?! I don't know about you but it's as real struggle sometimes to have a clear perspective when we're going through the thick of things! The trials and the hard times of life are for a real purpose...they are for our growth and good! Growth comes in many forms and while we may not like the package it comes in sometimes, OK...many times, we can sure embrace it for what it is and grow though it! 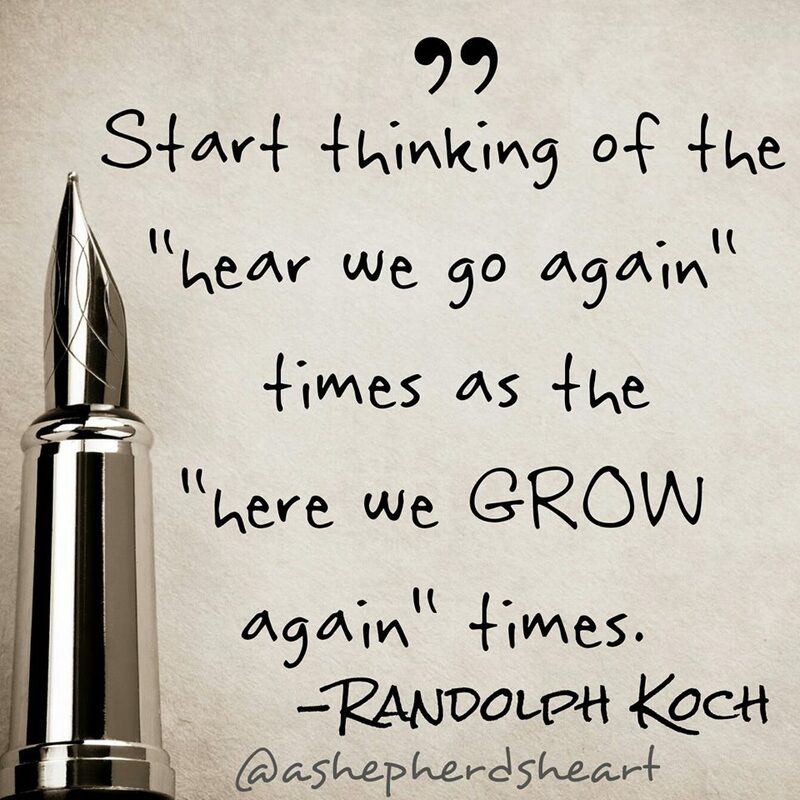 I've become convinced over the years and communicated to others time and time again, that we need to start thinking of the "here we go again" times as the "here we GROW again" times as I've grown to affectionately think of them! In other words, instead of being negative and have a "here we go again" mentality as if we're a victim, we need to get it into our hearts and minds and be as positive as we can and have a "here we GROW again" mentality instead. It's all a matter of perspective and choice... How you choose to view trials and hard times is up to you! So, what's it going to be for you going forward? Will you be a victim or a victor!? As Zig Ziglar used to say..."Attitude is Altitude". I pray you'll change your perspective and become the victor you are or can be in Christ! Choose to grow!...and choose to bring Him glory through the times of growth! May you choose to soar high above mediocrity choosing a more positive perspective toward growth through the many hard times...and help others do the same!